His eminence with Salih discussed the political situation and its developments and forming the government during the constitutional deadline. His eminence called on the Presidency of the Republic to play a role in protecting the Constitution and ensuring proper application, urged the presidency to play a paternalistic role in solving problems among political parties, activating constitutional powers, and taking care of citizens' interests first hand. 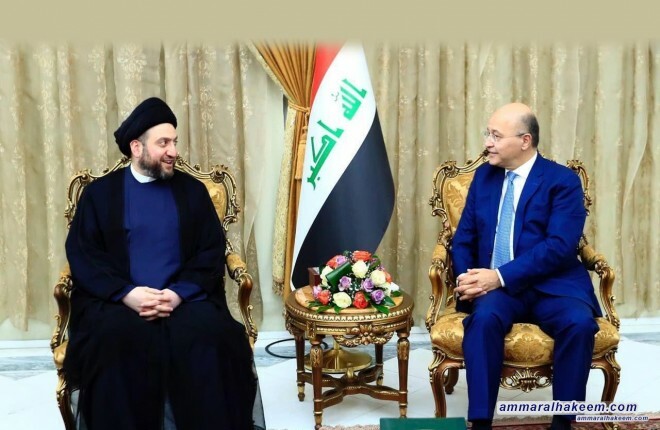 regarding the regional and international aspects, his eminence called for the exclude Iraq from the policy of axes, stressed the need to prioritize invoking the Iraqi interest as well as the importance of bridge the gap between the Kurdistan region and unite the Kurdish position.